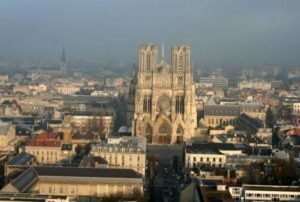 In the morning, drive from the UK to the Champagne region, taking the Eurotunnel from Folkestone to Calais, followed by a 2 ½ hour drive to the magnificent city of Reims. You are free to let us know your preferred crossing time. Upon arrival in Reims, check into a double or twin Tradition room at the 4* Hotel de la Paix, enviably located in the heart of the city centre just off the main square. The remainder of the day and evening will be free for you to do as you please. You may wish to relax and enjoy the hotel’s superb facilities. Alternatively , you may prefer to wander across the city centre, exploring the excellent range of shops and boutiques. In your travel pack there will be a comprehensive list of recommended restaurants in Reims. We would be pleased to reserve you a table at any of these for dinner. After breakfast, you will be welcomed as the guests of the prestigious Champagne Taittinger; the estate is located approximately 25 minutes’ walk from your hotel, and you may therefore prefer to ask your hotel reception to arrange a taxi for you on the day. 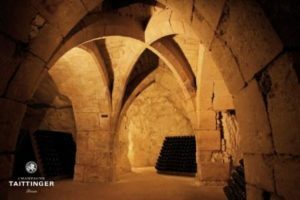 You will begin the day in style, enjoying a full tour of the cellars and estate of the prestigious Champagne Taittinger, followed by a flute of Taittinger Champagne. After the tour, you will have free time for lunch in Reims. After lunch, you will be met by a pre-booked, pre-paid taxi, which will take you out into the stunning surrounding vineyards for a visit at a small, family-run Champagne House, for a full tour of the fascinating Champagne making process from press to bottle, followed by at least three tastings of the Maison’s Champagnes. 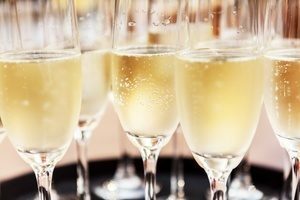 The tour will continue with a visit to a second boutique Champagne House, with a full tour followed by the opportunity to taste a selection of their Champagnes. At the end of the day, a final pre-arranged taxi will take you back to your hotel in Reims, in time to relax and enjoy the charming Champenoise evening. Today will be free for you to explore Reims at your leisure. Better known as the city of Kings and the gateway to Champagne, Reims is home to no less than three UNESCO world heritage sites including one of the finest gothic cathedrals in northern Europe where 25 Kings of France were crowned. 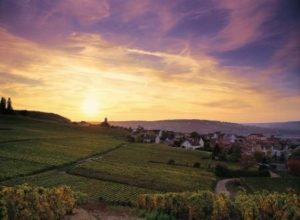 You may wish to make the most of your time in Champagne, and upgrade the trip to include a second day of Champagne House visits and activities. Please contact us for full details of further activities which can be arranged, and the relevant supplements. After a leisurely breakfast, check out of your hotel and at your own pace commence your journey back to the UK, via Calais, on the Eurotunnel. The total price of this package, based on 2 people sharing a double or twin Tradition room at the 4* Hotel de la Paix is £285 (GBP) per person, and includes return Eurotunnel crossings between Folkestone and Calais for 1 car, 3 nights’ bed and breakfast accommodation, taxi transfers between Reims-small Champagne House – 2nd small Champagne House-Reims, and tours and tastings at 3 Champagne Houses. This offer is based on two people sharing a double or twin room, and travelling mid-week or weekends between 16th July – 31st August 2016; please note that a peak travel supplement may apply across selected weekends. For more information, or to claim this offer, call the team on +44 (0) 1920 46 86 66, or email info@grapeescapes.net and quote LAZENNE.